Many of the recently discovered burial sites and death certificates were from the early years at Morningside Hospital. 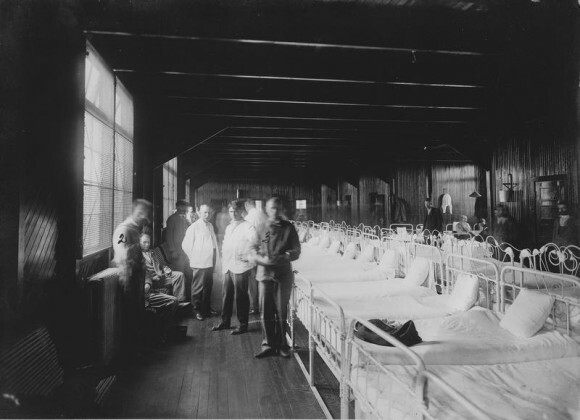 In May, I wrote an article about the Department of the Interior's 1915 investigation into the care provided at the hospital. In March of 1915, the judicial committee of the Alaska Territorial Legislature issued a report criticizing the facility and demanding that care be improved. Dr. Viola May Coe of Morningside Hospital denied the accusations and asserted that patients were well cared for. 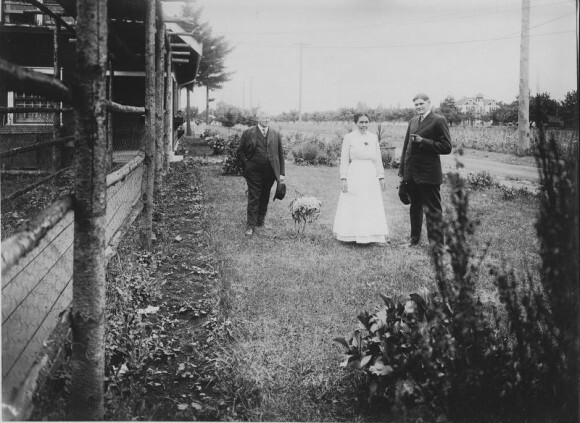 During our August trip to the National Archives II, we found photos taken as part of a May 1915 investigation into the accusations by the Department of the Interior. They offer a glimpse of the conditions at Morningside with images of patients, facilities and treatment methods. All of these photos are from Record Group 126, Records of the Office of the Territories, National Archives II, College Park, MD. Notes attached to the photo above said, "This picture is intended to show the types of restraint used during the inspection. The man at the radiator is in wristlets but they do not show in the picture. He is in the midst of putting a cigarette to his lips. The man standing at the foot of the bed is in a muff of leather. He is unable to take hold of other patients or to scratch them or tear his clothing." 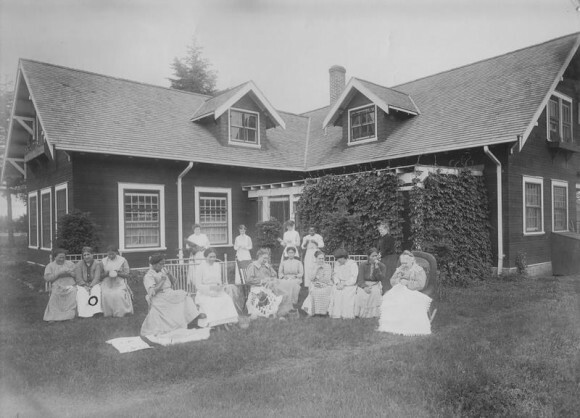 The first photo below is women patients doing needle work and making baskets in front of the womens cottage. The second photo includes (from left) Morningside Hospital founder Dr. Henry Waldo Coe, and Alaska Native woman patient, and an inspector from the US Department of the Interior.